ActiveSeam 502 and Merrow in the local news - Merrow Sewing Machine Co.
It’s not everyday that a Fall River company makes the world news, but Merrow Sewing Machine, located at 502 Bedford Street, did just that with the launching of the world’s first branded seam and new business model revolving around it. In the press conference, held on Oct. 15, Merrow announced the creation of ActiveSeam 502 Production Program and the Merrow Stitch Lab which represent a new business model for developing and pro- ducing apparel in the US based on the ActiveSeam stitch. Created in 2010 and released to the public in 2012, ActiveSeam is a new, stretchable stitch type that helps replace common forms of stitching. Work- ing with A & E, the second largest manufacturer of thread in the world and Groz Beckert, the world’s largest sewing needle manufacturer, ActiveSeam allows companies to design unique versions of their garments using various versions of the stitch. The ActiveSeam 502 business model is designed to leverage the worldwide interest in ActiveSeam-sports clothing manufacturer Nike toured the site hours after the press conference-while locally generating new production. 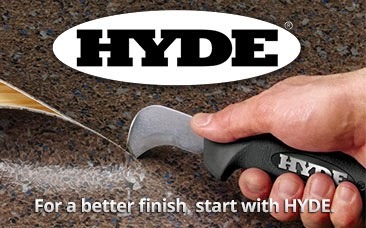 It will help brands worldwide rapidly develop and produce various versions of ActiveSeam in small to medium quantities helping to impact a company's ability to bring unique and competitive products to market. ActiveSeam will help change the way that companies consider using branded stitching in their products and it will provide designers with the freedom to build custom-designed seams into a myriad of products. 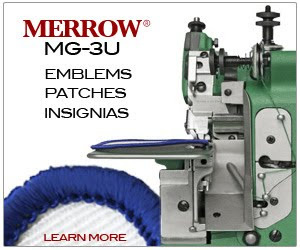 In partnership with local production companies, Merrow will provide brands producing under ActiveSeam license with ActiveSeam machines required for their pro- duction at no additional cost and participation requires no capital costs for sewing equipment. Businesses interested in affiliating with ActiveSeam 502 can request more information from Brian Foley at 508-689-4095. 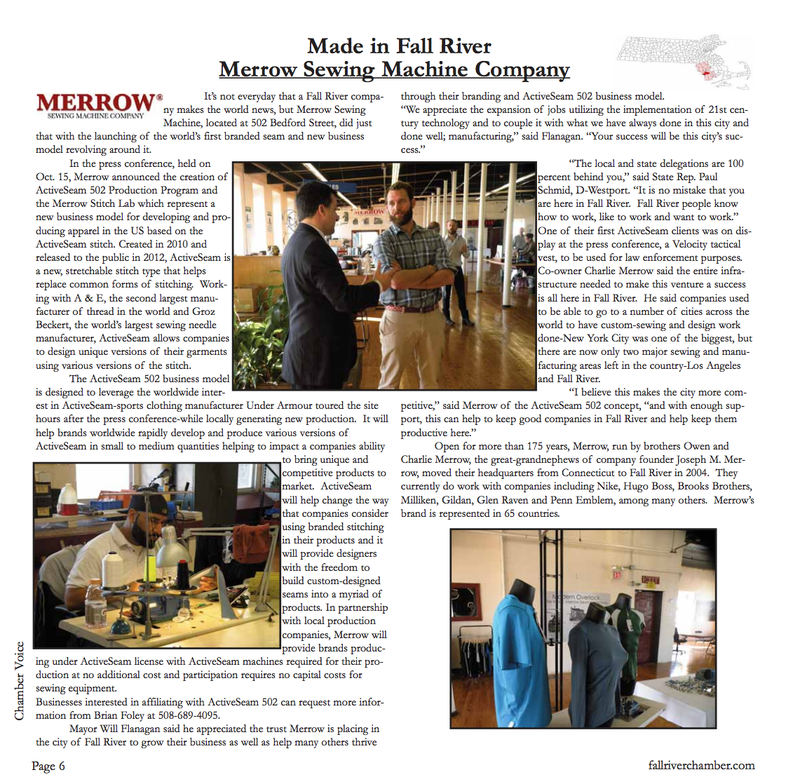 Mayor Will Flanagan said he appreciated the trust Merrow is placing in the city of Fall River to grow their business as well as help many others thrive through their branding and ActiveSeam 502 business model. Rep. Paul Schmid, D-Westport. “It is no mistake that you are here in Fall River. Fall River people know how to work, like to work and want to work.” One of their first ActiveSeam clients was on display at the press conference, a Velocity tactical vest, to be used for law enforcement purposes. Co-owner Charlie Merrow said the entire infrastructure needed to make this venture a success is all here in Fall River. He said companies used to be able to go to a number of cities across the world to have custom-sewing and design work done-New York City was one of the biggest, but there are now only two major sewing and manu- facturing areas left in the country-Los Angeles and Fall River. Open for more than 175 years, Merrow, run by brothers Owen and Charlie Merrow, the great grandnephews of company founder Joseph M. Merrow, moved their headquarters from Connecticut to Fall River in 2008. They currently do work with companies including Nike, Hugo Boss, Brooks Brothers, Milliken, Gildan, Glen Raven and Penn Emblem, among many others. Merrow’s brand is represented in 65 countries.